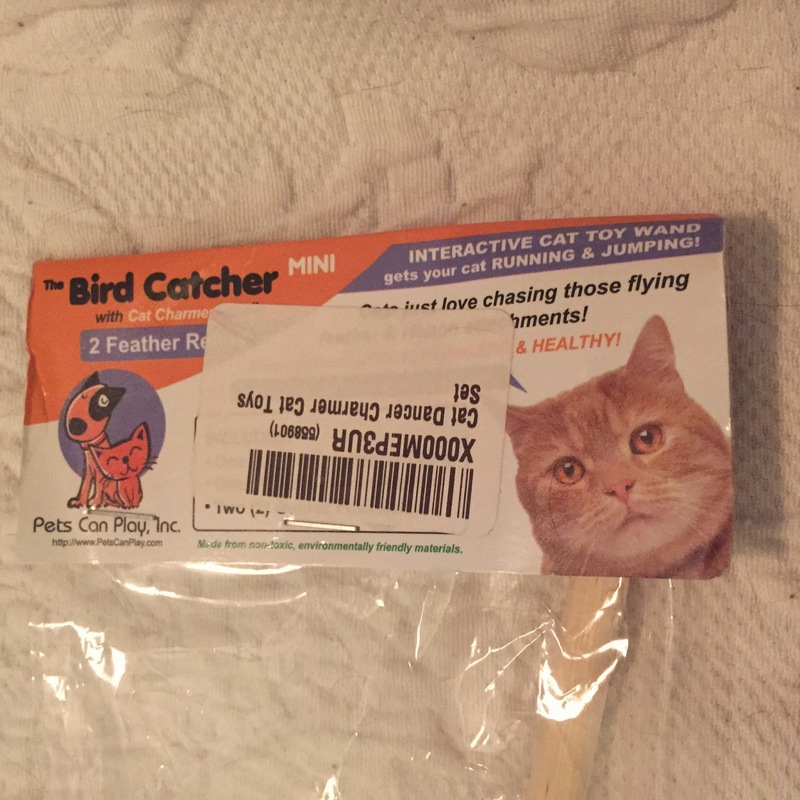 Gus: Mama recently got a discount on Pets Can Play's Bird Catcher Mini. We were more than happy to try it out. 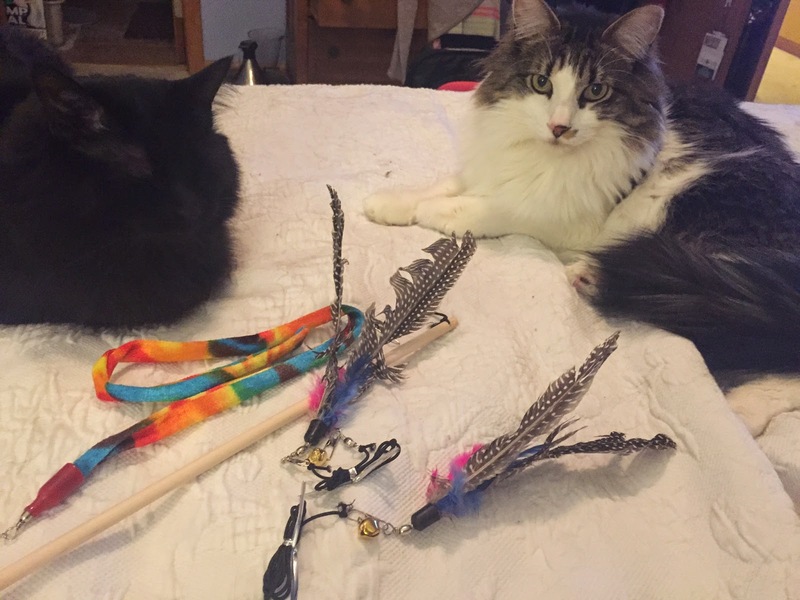 It came with two guinea feather refills, a cat charmer dangler ribbon, and a wooden wand. 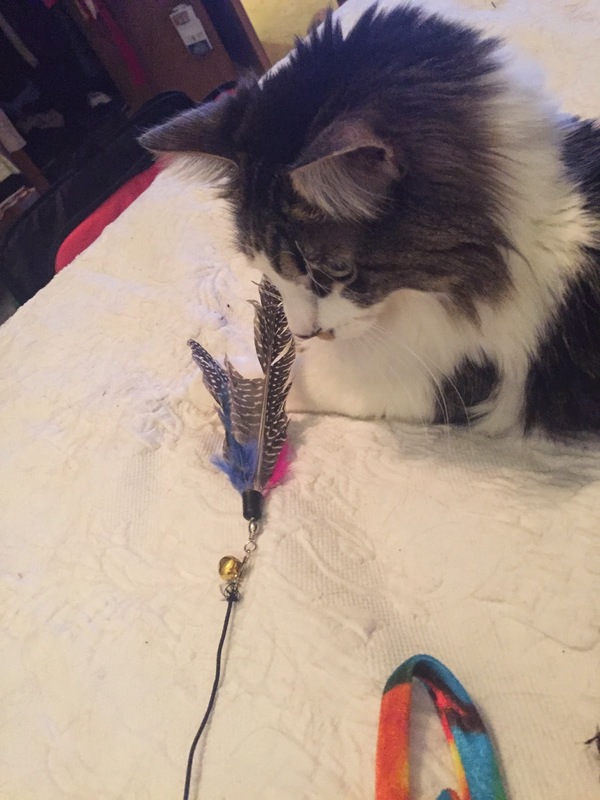 We LOVE feather toys like this. The way the feathers are put together it flies through the air more like a real bird. It was a very good value considering everything it comes with. It is currently $11.95 on Amazon. Pets Can Play was originally going to sell the set as accessories for their Bird Catcher Pro. They decided to include a wooden wand so that more people can try out the feather attachments. 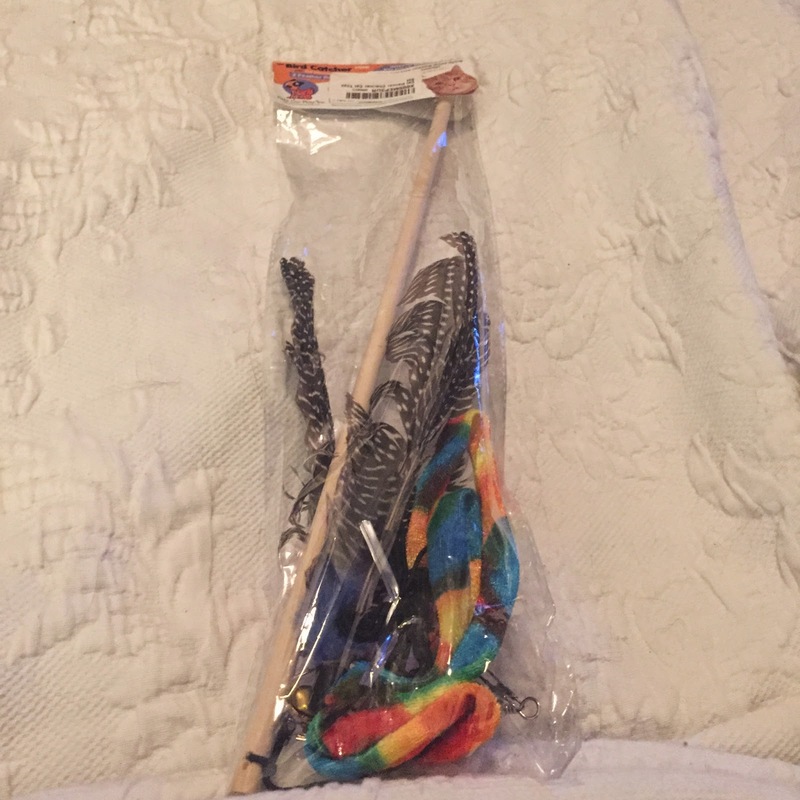 While the wooden wand is OK and is definitely the economical choice, we think their Bird Catcher Pro and Pro EX would be better if your toy gets a lot of use. 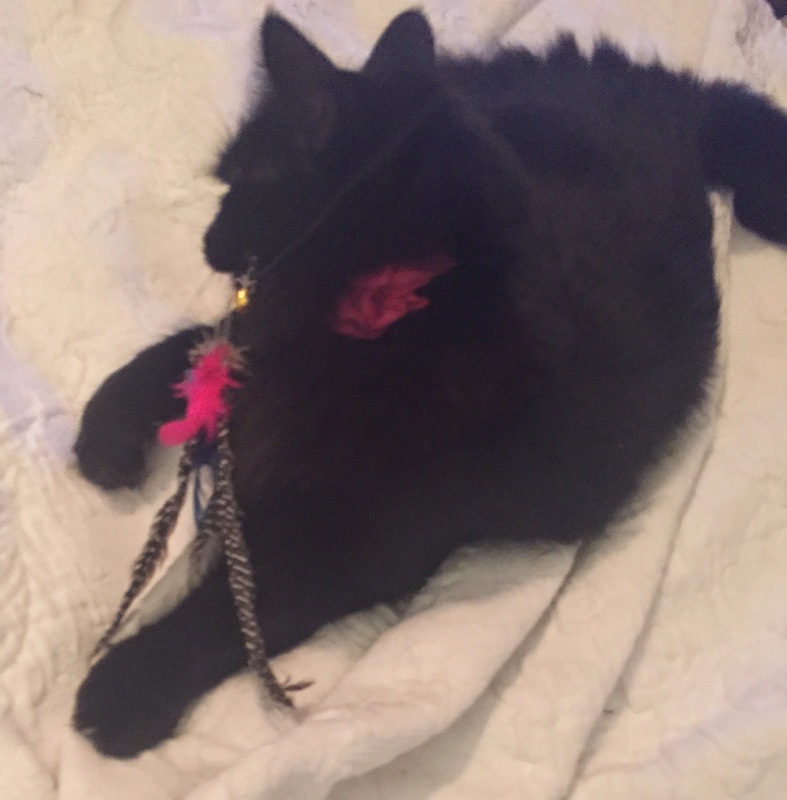 If you would like to try out a feather wand toy, we would recommend the Bird Catch Mini as a good place to start. And don't forget, us cats like to win. 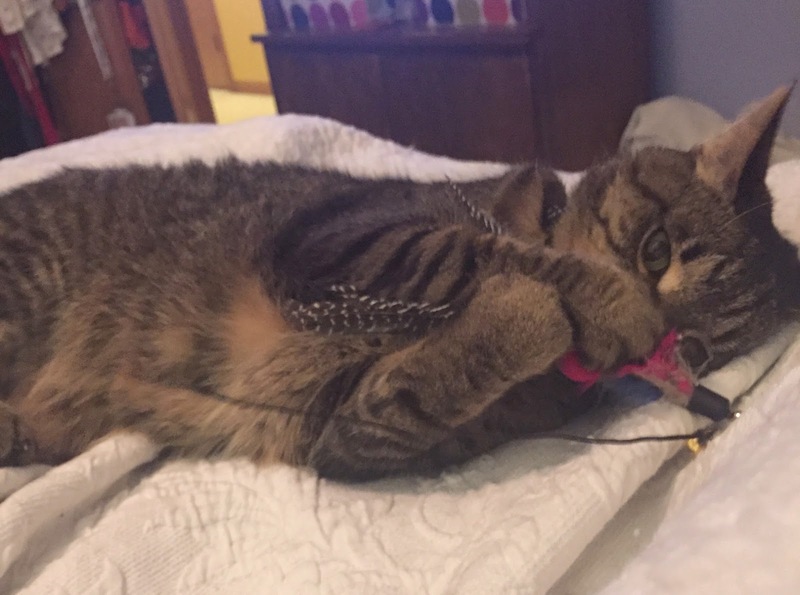 Let us catch the toy every once in awhile. It makes us feel like stud-muffin-kitties. Those toys look like a lot of fun. 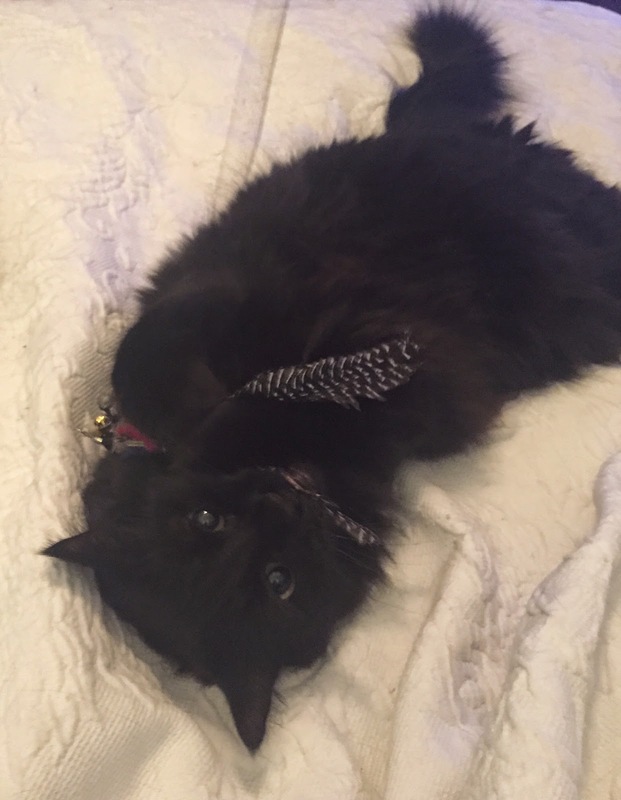 I have one of those fleecy ribbon toys and it's fun to play with. 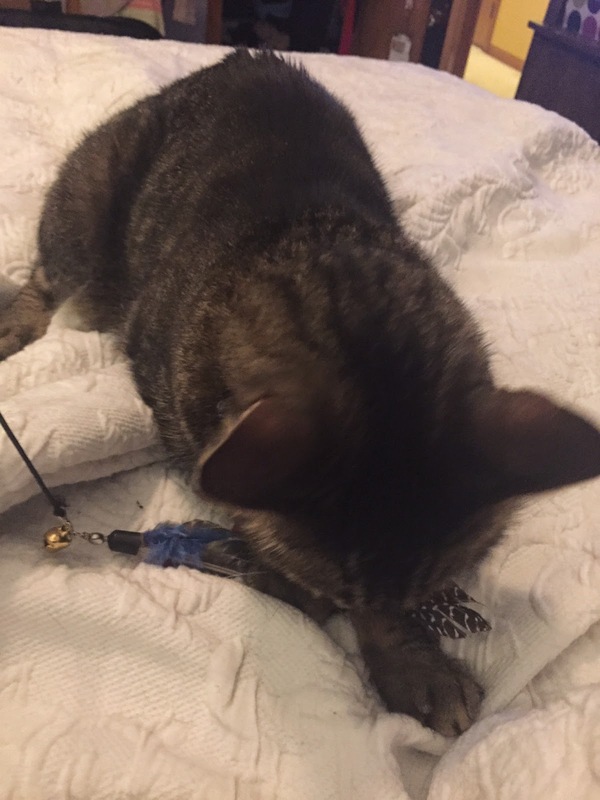 I can only play with my wand toys with mom or dad because they have the long string and mom thinks I could accidentally get tangled in it. What a fun toy! It looks a lot like Da Bird which we LOVE! So we know we'd love this one too. Wow! What a fantastic toy. I think we need to get Mommy's credit card and buy one! That looks like fun at a good price. My cats love da bird. Please visit us for a giveaway. That toy does look super fun. 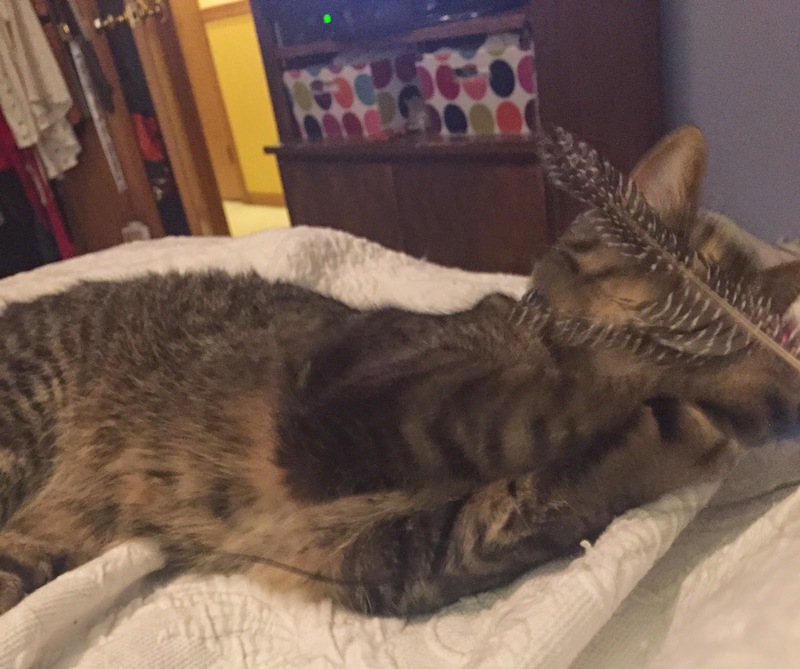 We love feather toys around here too. Have fun, furiends!